Abigail is a passionate studio news producer studying at the Walter Cronkite School of Journalism and Mass Communications at Arizona State University. She is also in Barrett, The Honors College and intends to get as much experience in the field as possible before graduation. Abigail is broadcast studio producer with Cronkite News and SEO intern at ZOG Digital. Editing and filming behind the scenes is her passion and she can often be found in the editing bays working on her latest project. Much of her personal work is based on sustainability and food. These two beats are represented harmoniously in the short-documentary Abigail co-produced, The Best Garden You'll Ever Eat From. She believes the more education and experience she can get, the more valuable she is to the competitive and evolving technology and news industries. ZOG Digital, a digital marketing company in Scottsdale, is where much of Abigail's time is spent this semester. While this is not an internship in the traditional journalism field, Abigail is learning a lot about search engine optimization. As the technology industry thrives, this information is incredibly valuable as an upcoming graduate and Abigail enjoys working in SEO to produce results for her clients. These skills are valuable to any career, as technology and SEO continuously develop. The Arizona Republic, where Abigail completed the first of internships after her freshman year, was the first insight she had into a real newsroom. 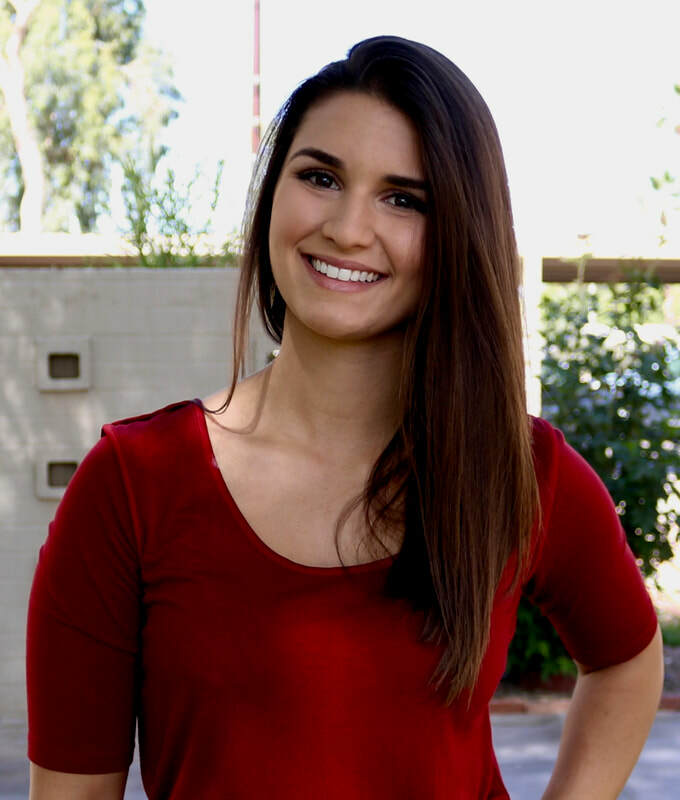 Abigail got experience writing and reporting breaking news for azcentral.com and became experienced in a wide range of reporting throughout the Phoenix metropolitan area. She reported on trials and courts, crime, weather, and various community features stories that can all be read on the portfolio page. Many of her stories were top stories on azcentral.com's front webpage and some were published in The Arizona Republic's newspaper. Abigail's introduction to broadcast journalism was at Montrose High School in Montrose, Colorado. She produced a weekly news broadcast called Channel M and was responsible for assigning stories to reporters, anchoring for the show, and filming and producing her own packages as well as editing and broadcasting the completed show. Although Montrose is a small town, she still got a taste of the fast-paced news world and loved to be behind the scenes editing packages and producing the show.